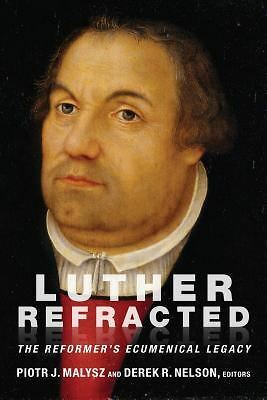 Critical to understanding Lutheran theology is the premise that sinful human beings “are justified as a gift﻿﻿ on account of Christ through faith when they believe that they are received into grace﻿﻿ and that their sins are forgiven on account of Christ, who by His death made satisfaction for our sins﻿” (Augsburg Confession [AC]IV:2). Salvation of human beings comes about only through faith in the works of Jesus Christ, the Son of God, so that God considers them righteous. But how does one obtain that justifying faith? For Lutherans, the answer to that question is found in the work of the Holy Spirit through the Office of the Holy Ministry. In the Augsburg Confession, the summary of the Lutheran teaching about the Office of the Holy Ministry is found: “So that we may obtain this faith, the ministry of teaching the gospel and administering the sacraments was instituted. For through the Word and the sacraments as through instruments the Holy Spirit is given, who effects faith where and when it pleases God in those who hear the gospel. . . ” (AC V:1-2). What the Augsburg Confession alludes to is the commission that Christ gave to His apostles, the first holders of the Office of the Holy Ministry which He instituted (cf. Mt 28:16-20; Mk 16:15-16; Lk 24:46-49; Jn 20:19-23). It is with good reason that Jesus instructs His apostles-“the sent ones”-to baptize, to teach everything He commanded them, to forgive sins, to remember Him in the breaking of the bread [the Lord’s Supper]: with that power received from Christ, the apostles went to the ends of the earth, bringing salvation to sinful humans. The Office of the Holy Ministry continues to have that power and authority for that same purpose. It is not an order created, but an office vested with Christ’s authority, so that humans may be saved by the work of the Holy Spirit through that office. Sinful humans need the salvation that comes from faith that the Word of Christ and His Sacraments create and sustain. Salvation belongs to “those who hear that God, not on account of our own merits but on account of Christ, justifies those who believe that they are received into grace on account of Christ. Galatians 3: ‘So that we might receive the promise of the Spirit through faith. '” (AC V:3). Because salvation is dependent upon having faith which must be created through the Gospel of Christ and that Gospel must be presented to humans, Jesus instituted the office of the ministry. The holders of the Office of the Holy Ministry deliver the forgiveness of sins by preaching the aural Gospel [preaching and teaching] and distributing the visible Gospel [Holy Baptism and the Lord’s Supper]. For Lutherans, that is the raison d’etre of the Church and her ministers. Lutherans teach that anyone who substitutes a different purpose for the office of the holy ministry either holds a different understanding than Christ who instituted it or a different understanding of how the Holy Spirit is given to humans in order to create faith. This understanding of justifying faith in Christ being created in sinful human beings by the work of the Holy Spirit through the Office of the Holy Ministry leads to the definition of the Church as those who are recipients of this work: “The Church is the assembly of saints in which the gospel is taught purely and the sacraments are administered rightly.” (AC VII:1) Where the aural Gospel is heard and the visible Gospel is administered there will be people brought to faith, called to believe in Christ. These are the Church: those chosen and elected by the Lord God to receive the benefits of Christ’s sacrificial death for their sin. Wherever the chosen people of God are receiving the forgiveness of sins, there the Church is present. It transcends all racial, national, ethnical, or linguistic barriers. To speak about the unity of the people of God, the Scriptures speak of it as the Body of Christ (cf. 1Cor 12:12-14; Eph 1:22-23) or a unique nation (cf. 1Pet 2:9-10). Assemblies of believers will be found gathered around ministers who are delivering the Gospel of Christ to create justifying faith to those whom the Lord God has destined to receive it (cf. Rom 8:30). As they are united in the same faith in Christ and His command to love one another (cf. Jn 13:34-35), it is natural for particular assemblies to band together for mutual support and cooperative efforts. For Lutherans, the organization of these particular assemblies can differ. Though their organization and practices may vary, they are united by the pure teaching of the Gospel and the right administration of the sacraments: “It is enough for the true unity of the Church to agree concerning the teaching of the gospel and the administration of the sacraments. It is not necessary that human traditions, rites, or ceremonies instituted by human beings be alike everywhere” (AC VII:2). Essential to all assemblies of saints is having a minister who is fulfilling the duties of the Office of the Holy Ministry, so that the forgiveness of sins is given, just as was seen in the example of the nascent Church in Jerusalem (cf. Acts 2:38-42). Underlying the Lutheran teaching on Church and Ministry is the central teaching of justification by faith in Christ, the heart of Lutheran theology. The Office of the Holy Ministry is instituted to deliver through Christ’s chosen means of the aural and visible Gospel the merits of Christ’s work which brings the forgiveness of sins; the Church is the number of humans who have had that aural and visible Gospel brought to them and believe it. Church and Ministry is really about the Gospel, because they are Christ’s institutions meant for the salvation of sinners.